Most cities have a limited supply of open spaces, which gives incredible value to those places that do invite relaxation and socialization. In light of this fact, one neighborhood in Montreal has worked to create mini-parks, or “parklets,” in the parking lanes of its streets, an idea that gained global traction since San Francisco’s Parklet Program. 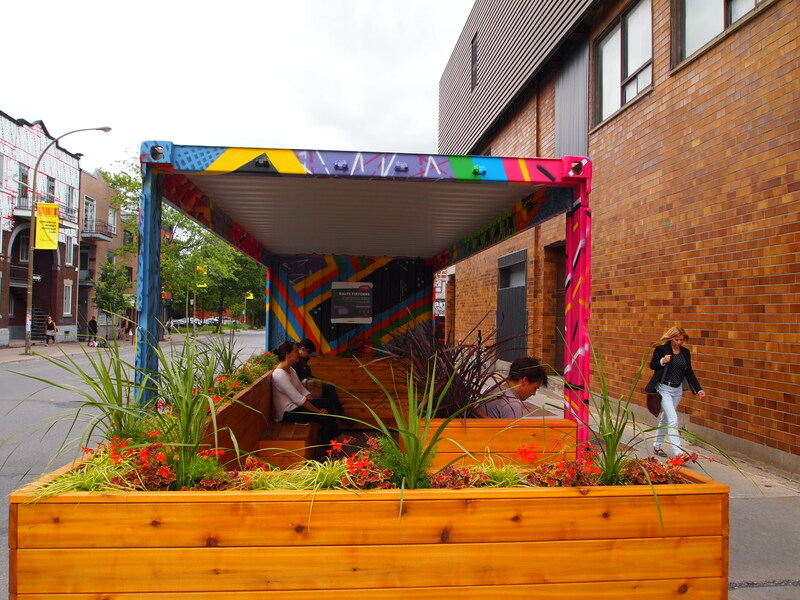 The project was named Placottoir, meaning “a place to chat.” With the help of the borough government, shipping containers have been recycled into new public spaces that have been colorfully painted by local artists, and include cut-out windows, abundant seating, and pleasant greenery. 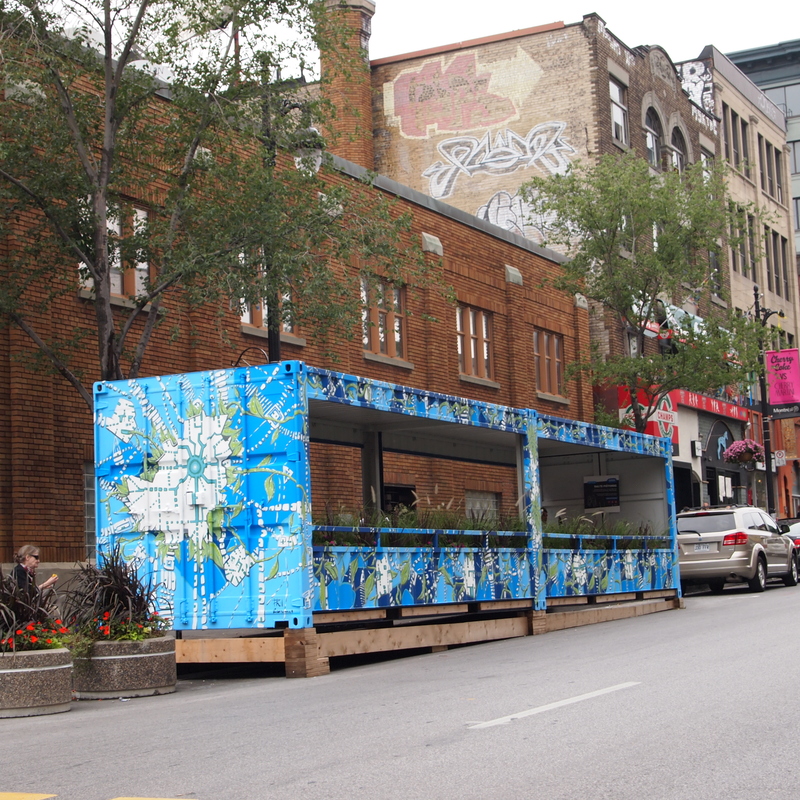 The containers occupy three parking spaces and serve pedestrians looking to eat, socialize, and people-watch. These shipping container structures can be made relatively inexpensively, and the borough further reduces financial risk by splitting costs with local businesses interested in extra curbside seating. 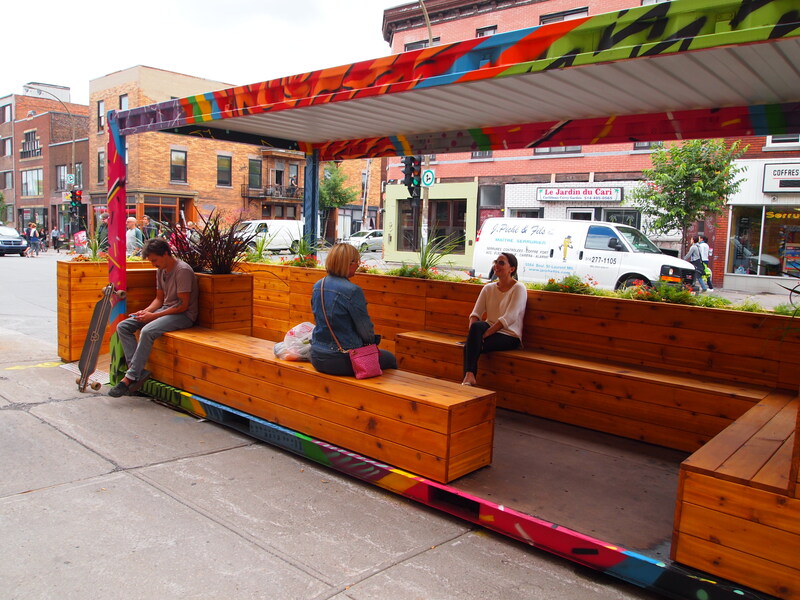 Few Montreal restaurateurs consider patio seating because of the city's cold winters, but the LQC nature of the container parklet seems to be a worthy investment. The parklets accomplish several placemaking goals: they create places for social engagement, add art and amenities to the neighborhood, and represent a political will to prioritize public space over private cars. So far, the borough has implemented two parklets, both on major commercial streets, with hopes of expanding the project to other areas in the city.